Ward and Smith, P.A. Recognized for Sustainability Initiatives - Ward and Smith, P.A. Ward and Smith, P.A. 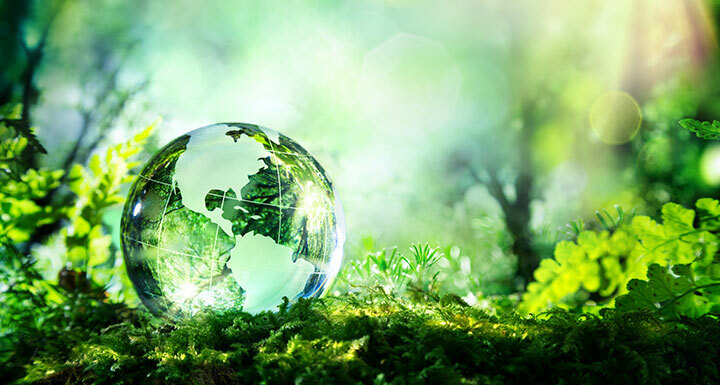 has received the American Legal Industry Sustainability Standard REPORTER certification from the Law Firm Sustainability Network in recognition of the firm's efforts to reduce its environmental impact. Amy Wang, leader of Ward and Smith's "Green Team" says, "We have been involved with the LFSN for a few years and we're happy to be participating. Through the LFSN, as well as the American Bar Association's and the EPA's Law Office Climate Challenge, we have learned quite a bit about best practices. We've introduced a standard recycling program, purchased paper with greater recycled content, upgraded to programmable thermostats in certain offices, and are implementing duplex printing practices. We continuously see incremental results from our efforts, and learn about new ways we can move to a more sustainable future." Ward and Smith's Green Team is a voluntary group that evaluates, promotes, and supports sustainable practices at all five of the firm's offices. While each office may have a different energy usage pattern or a different printer configuration, the common desire among the team members and the firm's management is to shed inefficient or wasteful practices. Additionally, the firm's "Legal Lean Sigma" team is recognizing processes that are duplicative and superfluous which will also results in less waste of energy and material. ALISS is a self-assessment tool that awards weighted points for various activities covering five broad categories: Internal Sustainability, External Sustainability, Stakeholder Engagement, Measuring & Reporting, and Innovation. Each of these categories is further broken down into sustainability topics, such as Policy, Energy & Utilities, and Volunteerism. Based on the number of points that they receive through the ALISS self-assessment, participating firms achieve award-level recognition. More information about Ward and Smith's sustainability program can be found at wardandsmith.com/sustainability. More information about ALISS can be found at lfsnetwork.org.